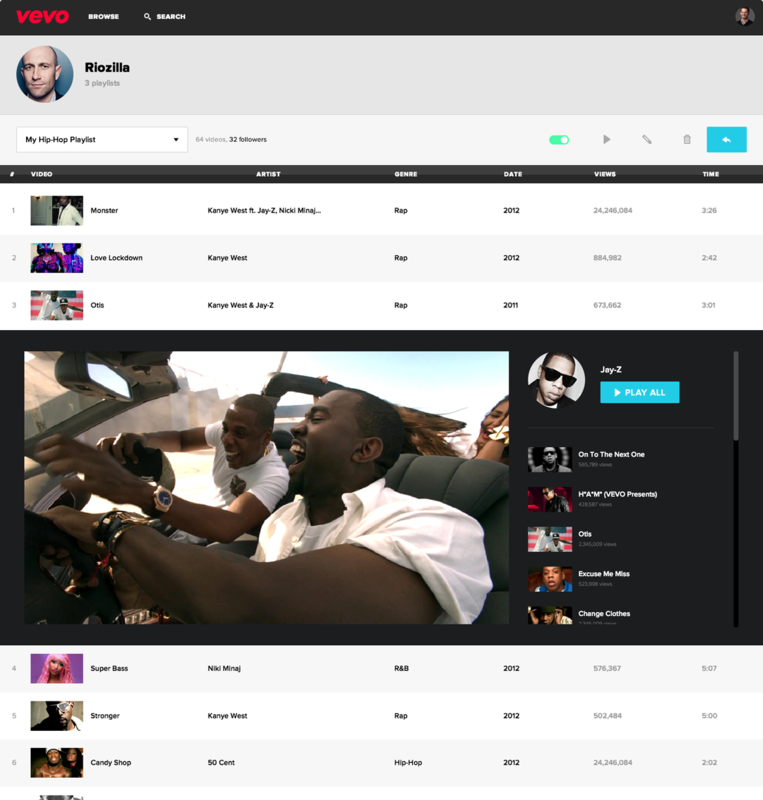 Vevo was my introduction to the world of in-house design, working at a start-up, digital video and the music industry. In my time there, I was able to experience a multitude of projects including designs for its website, apps for Xbox ONE, Apple TV, Roku, iOS, and much more. I was involved early on in it’s branding and design strategy and learned a ton about user behavior around digital video just when video was becoming integral to all online businesses’s bottom line. The work below represents the work I put in towards the end of my time there. 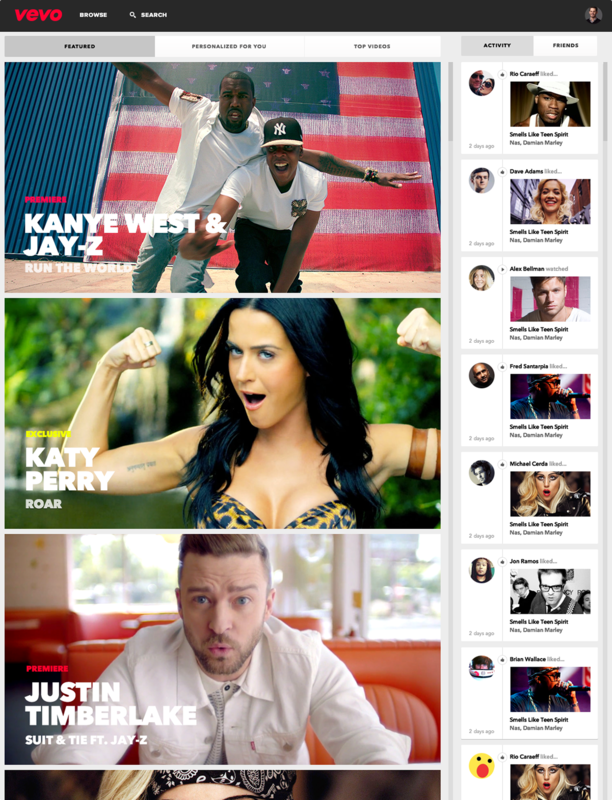 Which was reimagining the role of Vevo’s website outside of just playing videos. 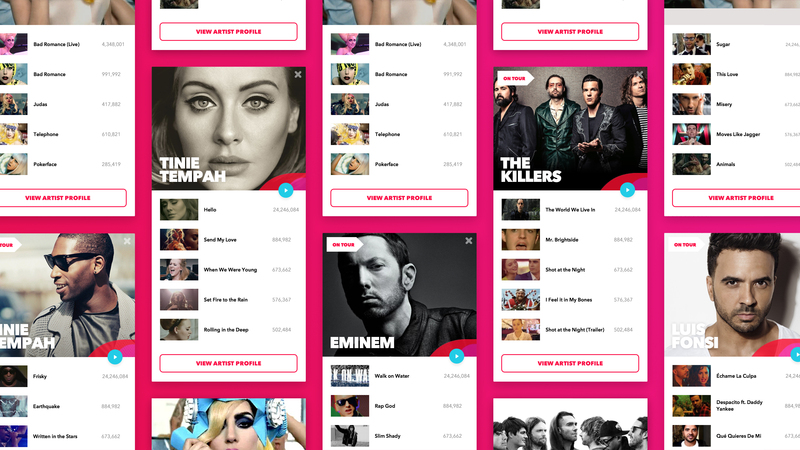 The idea for this project was to turn Vevo into a dashboard that allowed our users to easily discover, create and manage playlists that could be played on the site or any other Vevo app.  We knew that our loyal users liked to consume a lot of video content at once, but vevo.com didn’t originally make it easy to create and manage playlists. 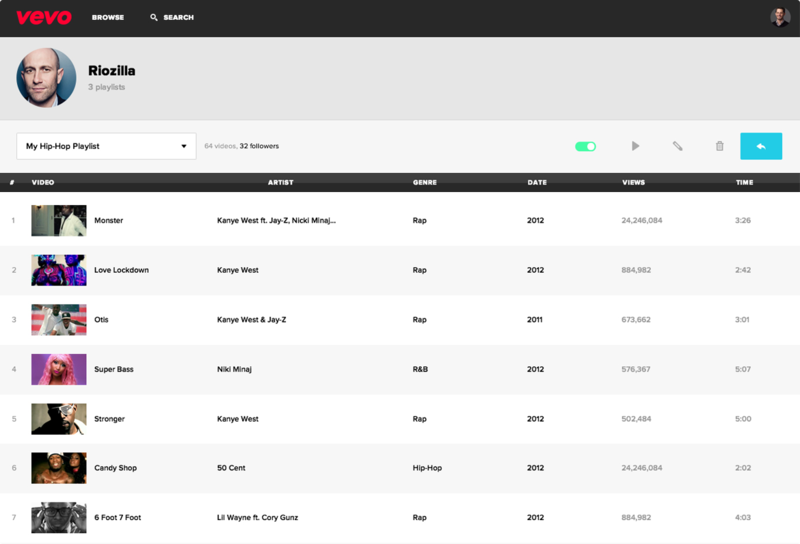 The project was built towards the end of my time there and while the designs have changed, the idea of playlists has remained. 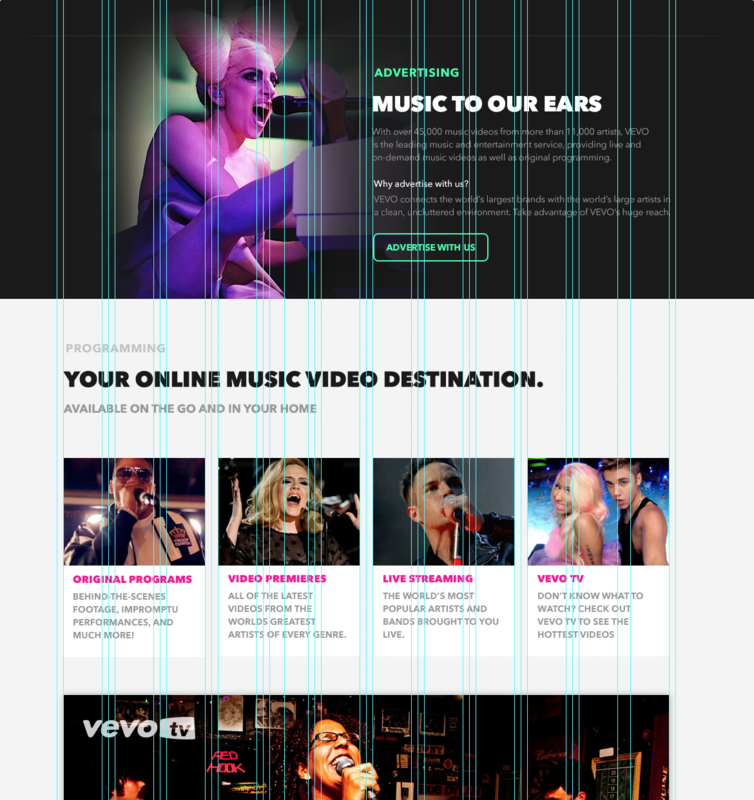 The above was the design for our homepage that was developed and live at the time. The goal was to feature the new and featured videos of the day along with a feed a videos that were being watched by your friends and others with similar taste.